Wende and Kandee Johnson talk about women empowering women and how you can get involved. 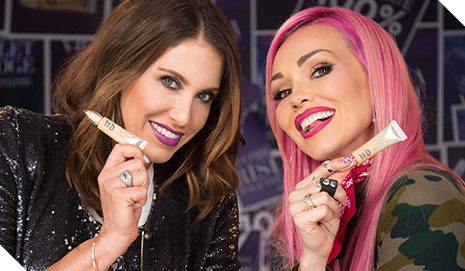 Urban Decay has always stood for the empowerment of women—from the products we create to the causes we support. When we launched in 1996, the prestige beauty market was a sea of pink, red and beige. We gave women the alternative makeup colors they craved and challenged them to defy the stereotypical notions of beauty. But it doesn't end with makeup. 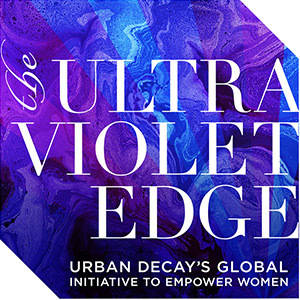 Urban Decay announces the launch of The Ultraviolet Edge, our global initiative to empower women. By helping to fund organizations that fight for the rights of women everywhere, we encourage all women to embrace their individuality in everything they do. To us, that's the definition of beauty with an edge™. Women's rights is a complicated landscape with many worthy causes, so we decided to pool together the money raised by The Ultraviolet Edge, which gives us the flexibility to support a variety of organizations that are doing incredible things to empower women. Since launching The Ultraviolet Edge in 2015, we have donated $1.28 million to women's empowerment nonprofits. In 2017, we plan to donate another $1 million; this puts us well on our way to our five-year goal of $3 million. Getting involved is as simple as buying something you probably use anyway: Urban Decay Eyeshadow Primer Potion. When you purchase the limited-edition shade Fix, we donate 100% of the purchase price to women's empowerment nonprofits selected by The Ultraviolet Edge, our global initiative to empower women.